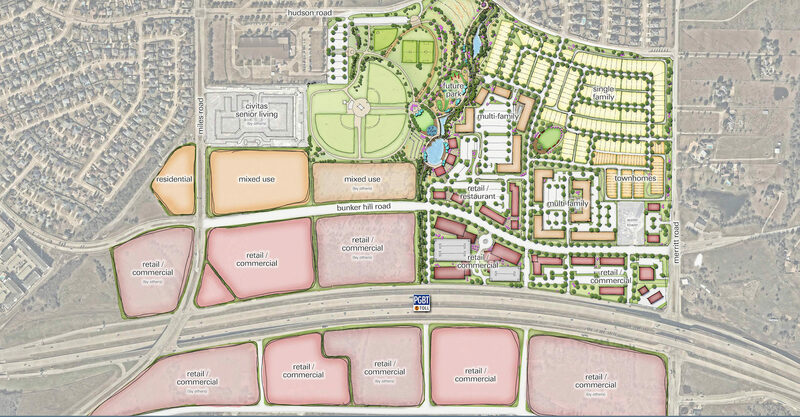 Conveniently located on the President George Bush Turnpike, between Miles Road and Merritt Road, you’ll find The Station, a new mixed-use entertainment district coming to Sachse, Texas. The district creates a harmonious balance between work, play and life –encompassing everything from residential communities and office spaces to restaurants and entertainment offerings. Beyond just a place, The Station is a feeling – it’s the warmth from gathering with friends for shopping or a show; it’s the rush of getting caught by a stream of water in the splash pad; it’s the satisfaction from enjoying a delicious meal; it’s the joy of savored moments with family and friends for a day well spent. We invite you to join us in exploring The Station when we open in early 2020…full steam ahead.